I'm worried about Madison. She made it clear that she was ready for more than a professional relationship, and since then, we've gotten along great. 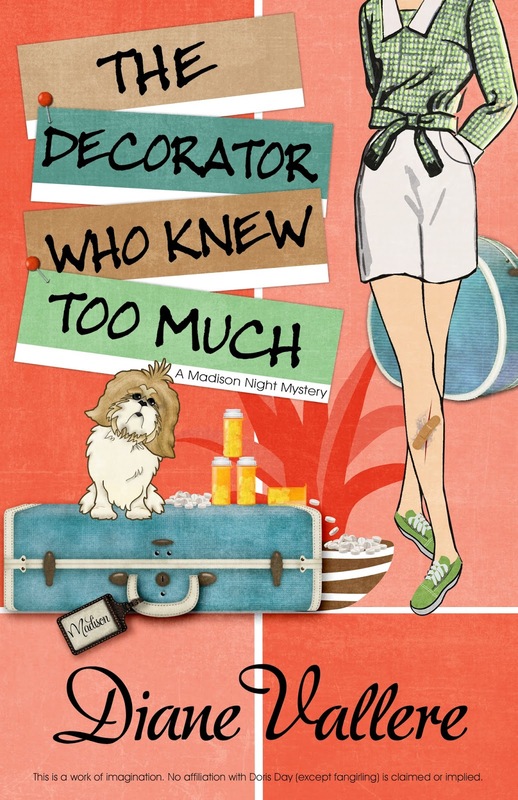 I respect her independence, and even though our lives were already intertwined thanks to the work I did for her decorating company, Mad for Mod, we had always kept things on a friendly basis. It wasn't until a couple of years ago that I realized she even had feelings for me. Once that twenty-year-old murder case stopped hanging over my head, I knew I was ready to move on. I wasn't sure if my future would include her or not. Turns out she had her own demons to deal with, and I respected that too. Sometimes Madison is right there in the moment with me. Her smile, her effervescence, her natural joy lifting up the whole world around her. But other times, it's like she's shrinking into herself. Like what happened last April haunts her and she can't let go. If there were any way for me to take it away from her, to have been there with her when it happened instead of finding out after the fact, well, I'd give anything to go back in time and change things. But I can't. All I can do is try to give her time and to be here for her if--when--she decides she wants to talk about it. I think a change of scenery might do her good. I haven't told her yet, but I made arrangements with my sister and her husband to go visit them in Palm Springs, California for a couple of weeks. My brother-in-law owns a construction company and invested in a job site and he could use our help. Madison hasn't taken on many jobs here in Dallas, so this might be just what she needs to jolt her system back to reality. Now all I have to do is figure out how to get her to Palm Springs without spoiling the surprise! 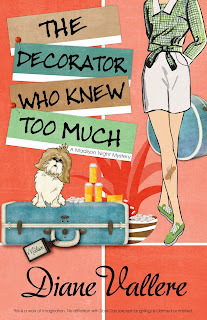 The Decorator Who Knew Too Much is out April 18, but you can get caught up with Madison right here! Comment below with your favorite getaway to clear your mind and recharge and enter to win the Madison Night ebook of your choice: Pillow Stalk, That Touch of Ink, or With Vics You Get Eggroll. Contest ends at midnight 3/6! I love to go to the Mountains for some R&R. Hudson!! While I don't 'get-away' enough, I love being somewhere warm, within view of a beach horizon! A nice vacation might be nice! Good luck with your new release!! I love to go to Holland MI and spend time with my sister and going to the beach at Lake Michigan. It's beautiful there all year. Congrats, Dianne! You're the winner of the Madison Night ebook of your choice! It's been far too long, but I love the Pacific Ocean and the Redwoods; I am definitely overdue for a drive down the Pacific Coast Hwy! A road trip to Gatlinburg or Pigeon Forge is what usually clears my mind, no fussing with airports or being anywhere at a certain time, just ride along and read! Thank you for the giveaway, I would choose Pillow Stalk if I won because I like to start a series with the first book. barbie17 (at) gmail (dot) com I love the titles being a play on old movies.